Fatgirl Hedonist: Attention Beer Lovers! 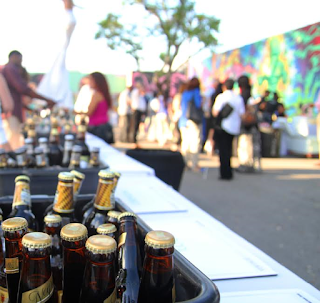 Win Tickets to VeritageMiami's Craft Beer Tasting! Attention Beer Lovers! Win Tickets to VeritageMiami's Craft Beer Tasting! So things have been a little hectic on my end. Since my last post I gave birth to a 7lb baby boy and I haven't had more than 3 hours of consecutive sleep in the last 2 months. In an attempt to get back some kind of normalcy and sanity in my life, I'm trying to carve out some time for my blog. To kick things off, I've teamed up with the good folks at VeritageMiami to host a giveaway to their Craft Beer Tasting happening on October 5, 2016 at The Wynwood Walls. VeritageMiami (formerly United Way Miami Wine & Food Festival) brings together more than 3,000 wine, beer, spirits and food lovers from all across South Florida and an impressive lineup of auction lots all to benefit the South Florida community. VeritageMiami benefits United Way of Miami-Dade, supporting programs in the community that are focused on improving the education, financial stability and health of South Florida residents. I am giving away two general admission tickets to this boozey event, with tickets valued at $55 per person. The giveaway will run until September 30, 2016 when a winner will be randomly selected. This should be common sense, but just in case all participants MUST BE 21 AND OVER! The giveaway link/s won't load...is it me? Hope to win this looks like an awesome event!! My FAVORITE craft beer is Barrel of Monks Quadraphonic Quadrupel. Runner up is Funky Buddha Don't Tell Reece Peanut Butter Cup. I am a HUGE craft beer fan as you can see from my Instagram! I hope you choose me! With the explosion of the craft beer scene over the past few years many breweries are being forced to pull out of states in order to keep up with the demand for their beer.